The reign of Byzantine emperor Justinian I (482–565 C.E.) was marked by both glory and devastation. Justinian reconquered much of the former Roman Empire while establishing lasting legal codes and cultural icons, including Hagia Sophia, the world’s largest cathedral, for nearly 1,000 years. However, his reign was scarred by the spread of the Justinian Plague, which claimed the lives of tens of millions of people in the 540s. Justinian himself was a victim of the plague. While he was able to recover, much of the Byzantine population did not, and the spread of the plague shaped world history for centuries to come. When Justinian’s troops had conquered nearly all of Italy and the Mediterranean coast, they were struck by plague and could not continue the conquest through Europe, ultimately losing much of the conquered territory after Justinian’s death. The Justinian Plague halved the European population and weakened the Byzantine Empire, making it vulnerable to the Arab conquests of the seventh century. Recent bacterial research has linked the Justinian Plague to the world’s most infamous affliction, the Black Death, which claimed the lives of up to 200 million people in the 14th century, as well as the third pandemic in the late 19th and early 20th centuries. Scientists investigating DNA from the teeth of nineteen skeletons from the sixth-century German cemetery Aschheim confirmed the presence of Yersinia pestis, the bacteria associated with the bubonic and other plagues. While Procopius, the court historian of the Roman emperor Justinian, reported that the plague (which he said claimed the lives of 10,000 people in Constantinople every day; see full account below) originated on Egyptian grain ships, the recent scientific study suggests that the yersinia pestis originated in Asia, like the more recent instances of plague. Read the full study “Yersinia pestis DNA from Skeletal Remains from the 6th Century AD Reveals Insights into Justinianic Plague” as it appears in the open access, peer-reviewed journal PLOS Pathogens. The free eBook Life in the Ancient World guides you through craft centers in ancient Jerusalem, family structure across Israel and ancient practices—from dining to makeup—throughout the Mediterranean world. 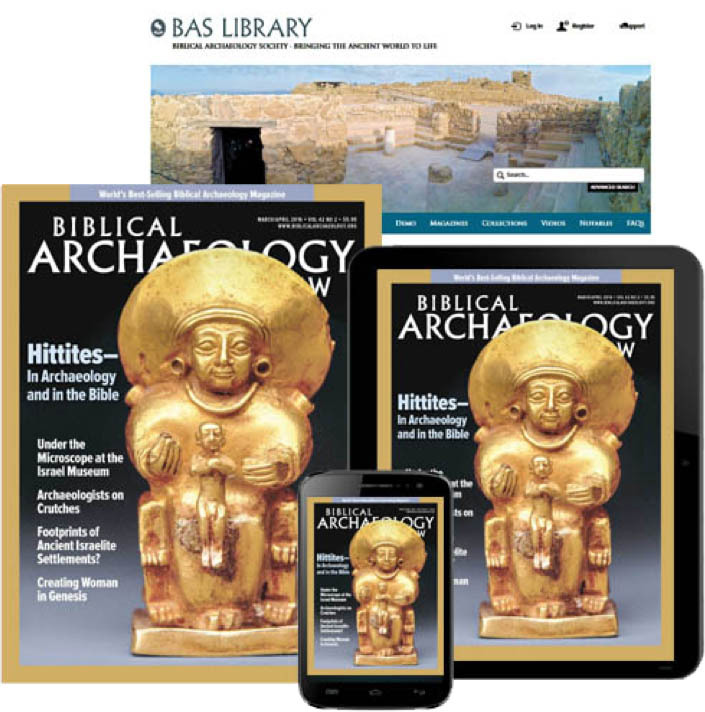 This Bible History Daily article was originally published in May 2013. I haven’t read all the subsequent posts, but if those I did, only one entry mentioned God , who I suspect gave the Apostle John a preview of these past and future events. The two plagues cited were just over a thousand years apart, and I’m wondering if they represent two of the four horsemen the white and the black with green and red still on the world’s horizon? The discourse was done factually by a keen observer. and not edited so that future generations would understand what happened. Every civilization thinks they have all the answers until something like this happens. such as horror as this? The present day medicine is not one hundred percent sure that isolating some sort of bacteria from a patient automatically means causation. So historical inquiry should not always be bound to current fragile medical theory. Keen observer! Same things you would expect today. Usually, because of urban focus of rats lifestyle, reports indicate urban deaths to be a greater percentage than rural, but not here. the pestilence could have ORIGINATED in Asia (DNA), but transited THROUGH Egypt (Procopius). Note, the DNA is from Germany, 1000 km from Constantinople (but midway between Byzantium & Britain, both reporting pestilence at that time). Science doesn’t rely on apparent associations but only well tested hypotheses = facts. It is necessary to test a hypothesis before it is assumed to be true. While it may seem absurd to test for what appears to be obvious, only through multiple testing can a hypothesis be seen as a “fact.” Even the most mundane must be tested because, if an exception is found, then all other hypotheses that use that “fact” would then be held in suspicion. Procopius was correct about the origin point. See ‘Catastrophe’ by David Keyes for the origin point and the trigger of what was a world-wide event. It is the first history I have ever read that covers climatology, epidemiology, documentary research and even vulcanology, with the long-term effects. Seriously, you are just now realizing that these two plagues are one and the same? I’m sorry but historians have known this for years. My wife did her dissertation on this very plague 4 years ago and how it was related to the 14th century plague. Catch up guys, you are way behind.